A client required a ramp to enable access to the first floor of a new build. 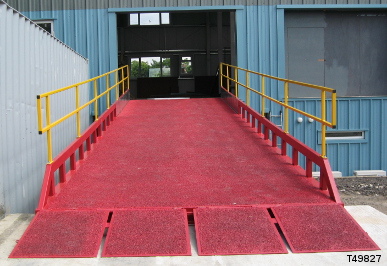 A ramp was designed (using a similar structure to our mobile Deluxe type 6 yardramp), and installed on the customers site. A Solid floor with an antislip grit finish was used. 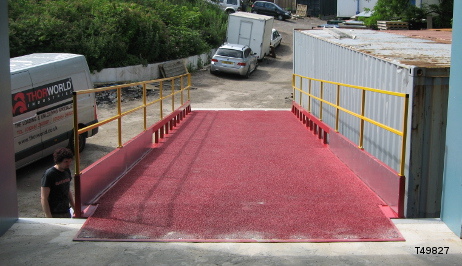 This antislip is very hard wearing and is also used on ship decks and bridges. 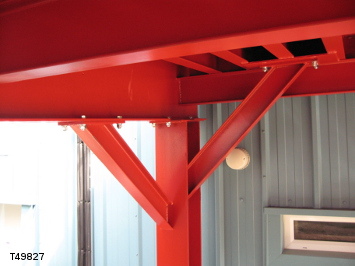 The support legs were made in sections to allow them to fit inbetween the air conditioning units.